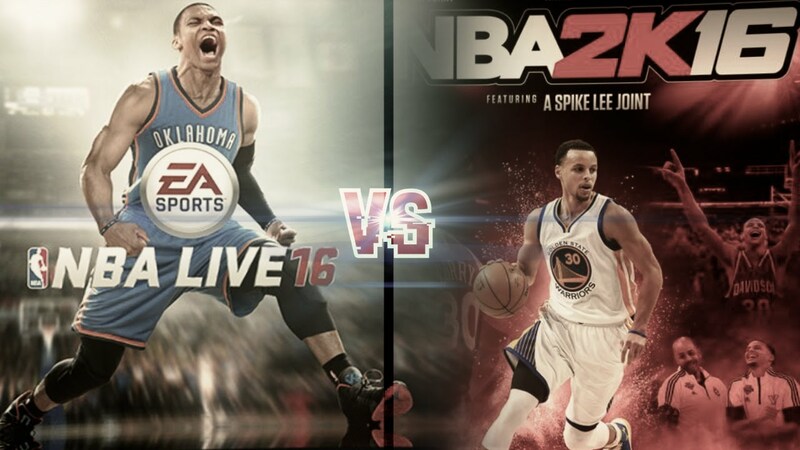 NBA 2K16 vs. NBA Live 16…. GO! NBA 2K16: This year, NBA 2K16 didn’t change a ton when it comes to the graphical side of things, but the game shines with beauty. Just as the old saying goes, “if it ain’t broke, don’t fix it”. NBA 2K16 in the graphical category is anything but broken. However, there is still some flaws in the presentation side of things. While the new studio segment before the game is a nice touch, it is very underwhelming from what shows up on the court. While the game should look its best in motion, it is a bit of a disjointed effort when it comes to the graphical inconsistencies. The commentary portion we will get to it a bit later. That’s just a minor complaint and the game has it all put together where it matters most. Each of the players shimmer with detail and the accurate portrayals of each star and even the sixth men are second to none. The arenas are detailed and the crowds have great diversity among each of the attendees. The only other complaint is where are the correct coaches? Who are these impostors? NBA Live 16: NBA Live has had two years to get its bearings beneath it, however there are plenty of issues still that the game has. It looks better than a year ago, but the training wheels have to come off at some point and this is the year that we must do so. The game does get better from last year’s offering and it didn’t look horrible to begin with. But when pit against the reigning champion, NBA 2K, it is easy to see this is an area that the game still has a lot of ground to make up. The game is lacking but player models at least look like their real-life counterparts. The moves are fluid and the animations are solid across the board. It just doesn’t have the same realism. When compared to the the previous version of the game, it does show improvements in all the important areas in terms of the players looking less plastic-like, the sweat showing up on their skin, and the jerseys showing some movement and fluidity. It just isn’t as good as it needs to be. Well how the game looks is all that matters anyway, right? 2k is crap. I agree…2k stinks. I haven’t played live…but I am sure that I will never purchase another 2k game in my life. I have 2k15 and chose 2k because EA is terrible and unfortunately have exclusive rights to NFL. I have always liked 2k over EA but Im willing to try Live 16, just dont have a good reason to yet. In the 4th tab (Gameplay), it talks about NBA 2k16, but when compared to Live, it only mentions NBA Live 14 and 15…was this just a foul up? or are you just comparing 2k16 to Live 15? That seems unfair. lol, why the eff would anyone listen to a dude who can’t even figure out if he’s comparing 2016 versions or 2015 versions. go back and get your ged dude, then come back and write some reviews, mmkay? If we are talking straight visual fidelity and the realism of the faces and bodies of the players NBA Live 16 looks loads better. NBA 2K16 looks a little cartoony.